The Tokyo Ghoul mod takes you to the world of ghouls where you have to eat human flesh in order to survive. 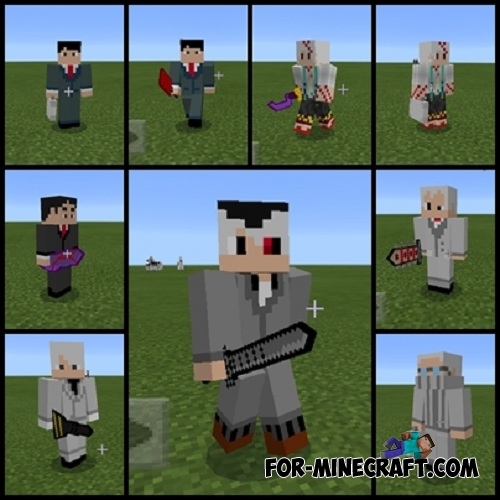 The mod adds a huge number of characters, weapons, items and armor from this manga to Minecraft PE. You will need the flesh to exist, but it is not all difficulties. Many mobs will become more aggressive and start hunting for you. 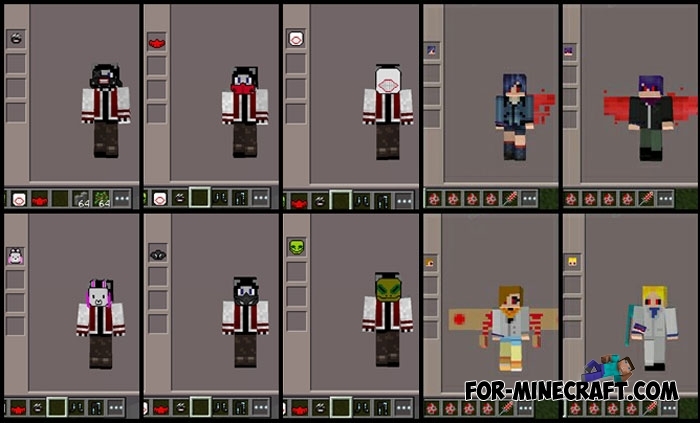 Support for Minecraft PE 1.9.0.3/1.9.0.5. Added parameters to the corner of the screen. A new camouflage color picking automatically. New items such as suitcases and others. 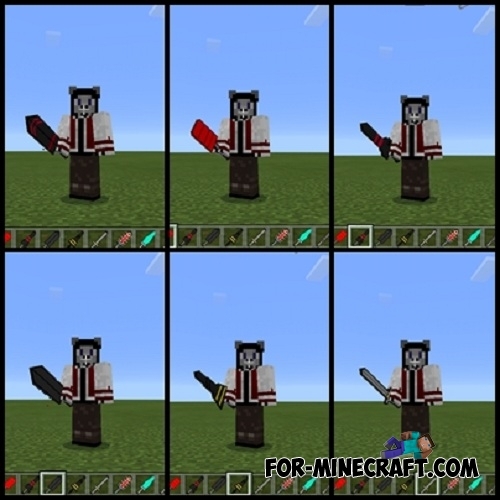 After you enter the game, you must choose one of the kagune that will be attached to your back and is the defense. The addon works on Minecraft 1.2 but there are some bugs with blocks. Now some ghouls are only spawned at certain times of the day. Added more sounds for the ghouls. People will help you fight against ghouls but until you defeat the enemies. Humans turn into ghouls after death so protect them. Ayato is updated and now it turns into ghoul after dark. Sometimes you can see how people fight with each other. All creatures have a certain amount of health and damage. Now you can put on a ghoul mask and turn into it. You no longer need to collect all the elements of the armor to turn into ghouls. The mod has been turned into an addon, so it works on the latest versions of the game. BlockLauncher is no longer required for installation. New sounds for some mobs. Real names for the creatures. 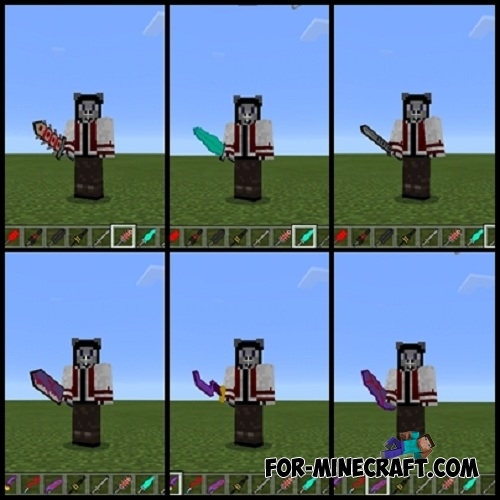 There are 13 new swords, more precisely melee weapons which have powerful effects. 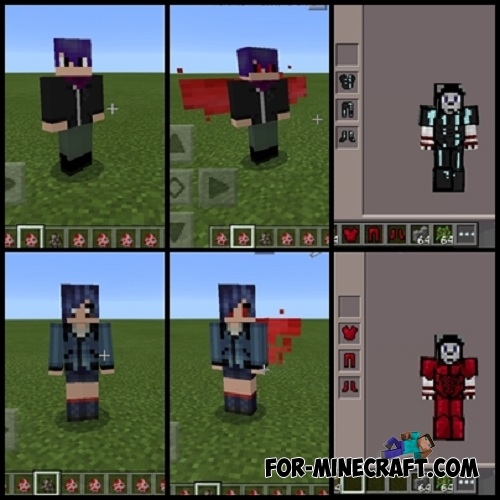 The Tokyo Ghoul mod contains a new armor which is characterized by certain effects and impressive appearance. 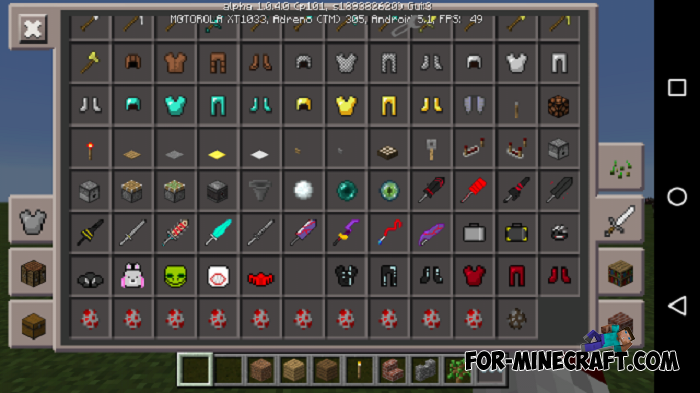 In addition, the mod replaces the GUI, adds sounds to mobs, and changes the amount of health. After spawn, you have 50 hp which can be increased by eating flesh. It is advisable to select the creative mode to see new items. Future versions will contain even more features from the Tokyo Ghoul series.